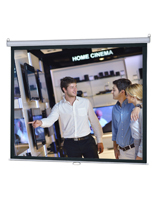 This hanging projector screen can be pulled down at a moments notice when needed. 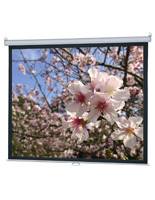 The metal cassette mounts to any wall with the integrated brackets or hung from a ceiling location through the top loops. 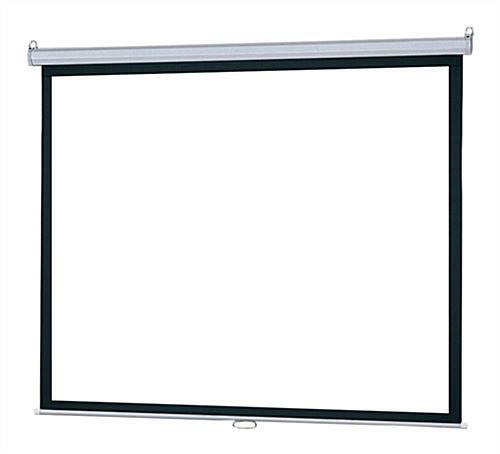 The hanging projector screen is retractable and with a pull of the handle, drops down easily. 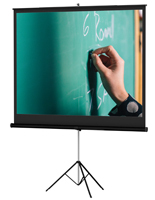 It's the perfect choice for classrooms, offices, and even home theaters. 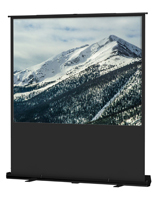 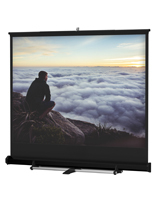 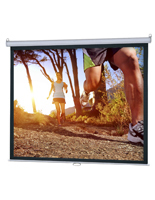 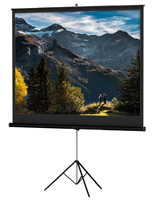 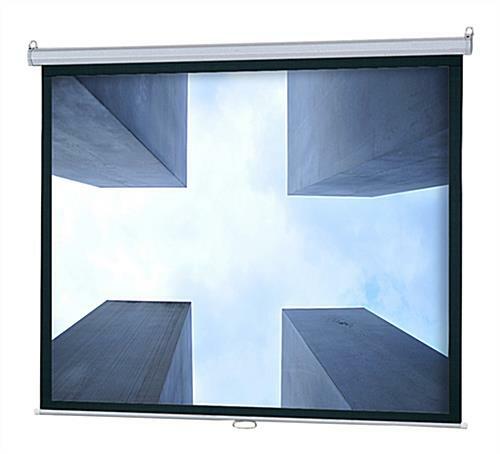 This affordable hanging projector screen features a diagonal measurement of 84".